Absolutely! Imagine sitting down for the weekend with 50 successful Canadians from all walks of life to hear about their brutal experiences and how they overcame them? Be inspired by well-known icons in sports, politics, music, entertainment and business, and lesser known but remarkable success stories from all walks of life. 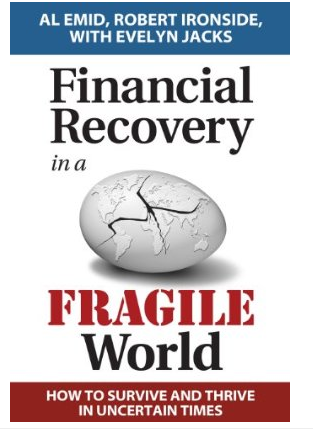 Learn proven ways to cope with crisis to revolutionize your insights and your resolve to overcome and succeed! WHAT I HAVE LEARNED SO FAR . . . asks the question “If you knew when you were 25 what you know now …” and then tells the reader in an entertaining narrative, the breathtaking, heartbreaking and often heart-warming stories that will show you how to navigate through personal dilemmas when experience is lacking. Authors Paul Bates, a veteran financial industry executive and business school dean and Al Emid, a veteran business journalist, interview 50 outstanding individuals from all walks of life to ask them the very questions you would ask yourself. They bring you the fascinating and heart-warming stories of personal mistakes and recovery. You’ll share in the secrets you need to know every day to avoid conflict in work life, relationships, on civility, on human capital. Visit Knowledge Bureau newsbooks for more educational resources.